Suddenly without a job or a boyfriend, Daisy now lives in the attic above her family’s store, the Union Street Bakery, while she learns the business. It doesn’t help that, as the only adopted daughter, her relationship with her sisters has never been easy. When an elderly customer dies, Daisy is surprised to inherit a journal from the 1850s, written by a slave girl named Susie. As she reads, Daisy learns more about her family—and her own heritage—than she ever dreamed. Haunted by dreams of the young Susie, who beckons Daisy to “find her,” she is compelled to explore the past more deeply. What she finds are the answers she has longed for her entire life. Mary Ellen Taylor is a contemporary women's fiction author who spends her spare time baking, practicing yoga and visiting historical sites. 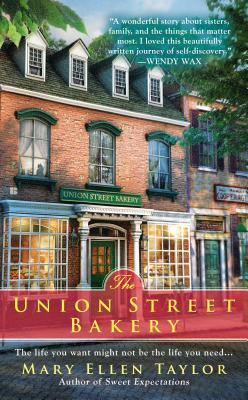 She is the author of the Union Street Bakery series and the Alexandria series.